The Real Estate Capital Alliance (RECA) was formed by a group of boutique real estate capital advisory firms with offices in major metropolitan markets and clients across the U.S. Collectively, the group of more than 65 originators has arranged over $25 billion in debt and $2 billion in equity since the Alliance was formed in 2008. The primary purpose of RECA is to leverage the relationships, experience and daily interactions in the capital markets of a larger group of advisors in order to not only ensure that the clients of each company are securing access to the best possible capital in the market, but also to build stronger relationships with the capital providers, increasing the certainty of execution. MBA is the only association representing all segments of the real estate finance industry. We unite the interests of diverse stakeholders, from main street to wall street, spanning all aspects of real estate finance, including commercial, multifamily and residential. NAIOP, theCommercial Real Estate Development Association, is the leading organization for developers, owners and related professionals in office, industrial, retail and mixed-use real estate. NAIOP provides unparalleled industry networking, leading educational programs, research on industry trends and innovations and strong legislative representation. NAIOP actively advocates for the commercial real estate industry and responsible, sustainable development that creates jobs and benefits the communities in which our members work and live. 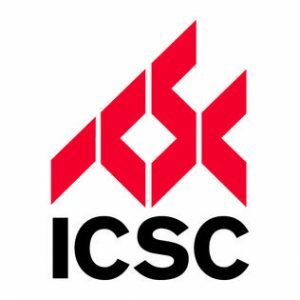 ICSC is an association that serves the global retail real estate industry. We provide our 70,000+ member network in over 100 countries with invaluable resources, connections and industry insights and actively work together to shape public policy.